Lybrel (levonorgestrel/ethinyl estradiol) was a combination birth control pill. It was the first extended-cycle birth control pill designed to supply an active dose of hormones every day to completely stop your period for a full year. Each pack contains 365 pills made up of 90 micrograms of levonorgestrel and 20 micrograms of ethinyl estradiol. Lybrel was approved for use by the U.S. Food and Drug Administration (FDA) on May 22, 2007. Lybrel was discontinued by the manufacturer prior to its patent expiry in 2018 but is available as a generic under the brand names Amethyst, Lutera, Orsythia, Sronyx, Altavera, Camrese, Amethia, LoSeasonique, CamreseLo, Marlissa, and others. Lybrel was neither taken off the market for safety reasons nor recalled by the FDA. The decision to discontinue was purely a financial one driven by the flood of generic licenses submitted to the FDA. Lybrel works like any other combination birth control pill. The difference is that it is taken 365 days of the year and does not have a pill-free interval or placebo period. As long as you take your Lybrel pill every day, you will not have your period. Lybrel does not permanently affect fertility once you stopped taking it. Research shows that 99 percent of women who stopped Lybrel had their periods restored within 90 days. Women will sometimes worry if they continue to have monthly bleeding when first starting Lybrel. What is important realize is that the bleeding is not part of your normal fertility cycle. Rather, it is considered withdrawal bleeding in which ovulation does not occur, but your body continues to undergo the process of shedding the lining of the uterus. Within six months of use, 55 percent of women will stop bleeding altogether. One study reported that after seven to 13 pill packs, women on Lybrel reported less nausea and breast pain than those on a 21-day birth control pill. Other research showed that 114 women who used Lybrel for three months reported less pre-menstrual and period-related pain. Lybrel is as effective as other oral contraceptives, boasting an efficacy rate of 91 percent to 99.7 percent. With typical use, only nine of every 100 women will become pregnant during the first year of use. As with any other type of oral contraceptive, there are risks and considerations to Lybrel use. 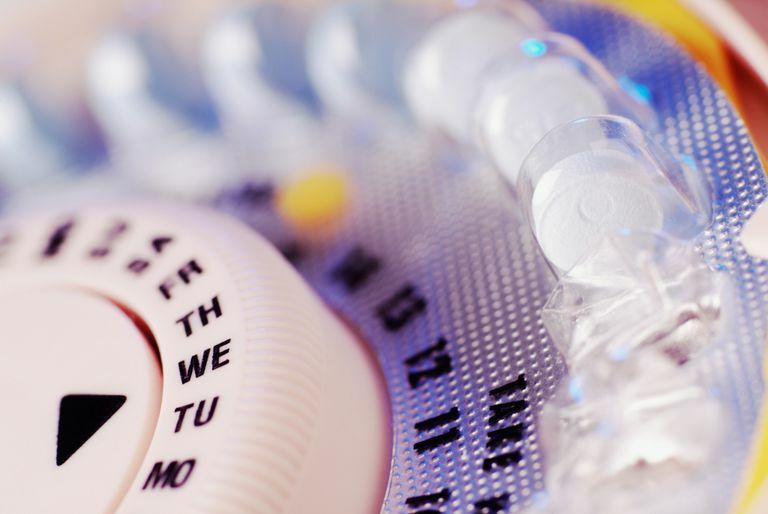 From a broader perspective, Lybrel and the generics have the same side effects as other hormonal contraceptive methods. However, the lower doses of hormones used in Lybrel may cause spotting in some women. While Lybrel can significantly reduce the risk of pregnancy, it does not offer any protection against sexually transmitted infections. Bonnema RA, Spencer AL. The New Extended-Cycle Levonorgestrel-Ethinyl Estradiol Oral Contraceptives. Clinical Medicine Insights: Reproductive Health. 2011:49. doi:10.4137/cmrh.s5030. Jacobson JC, Likis FE, Murphy PA. Extended and Continuous Combined Contraceptive Regimens for Menstrual Suppression. Journal of Midwifery & Womens Health. 2012;57(6):585-592. doi:10.1111/j.1542-2011.2012.00250.x. McCarthy LI, Brar H. Levonorgestrel/Ethinyl Estradiol (Lybrel) for Continuous Contraception. American Academy of Family Physicians; 2008:222.